Welcome to Coffee Week in Pittsburgh. It’s the first workday of the Christmas season and Simpatico Espresso in downtown Pittsburgh is offering up Christmas In A Cup. To kick off the season, they are offering “Naughty or Nice” Peppermint Mochas. 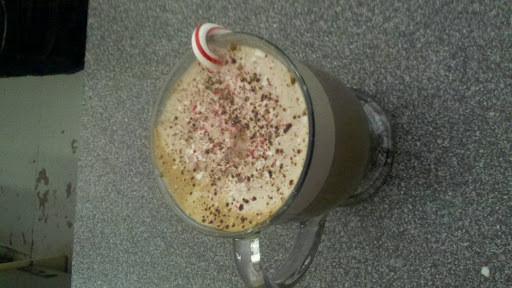 I’ve decided to indulge myself in a Naughty Peppermint Mocha, with a pledge to have the Nice version (white chocolate). Aside from coffee, other daily menu items are fresh fruit smoothies and a rotating lunch menu, which on any given day includes pasta option, deli sandwiches and pizza slices. Also available for catering and special events, Simpatico offers downtown Pittsburgh personalized service that is hard to beat.